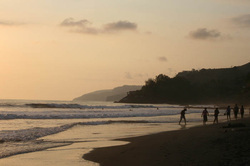 El Salvador one of the best Surf destination of America:. 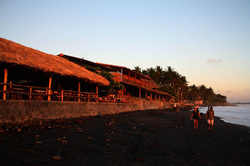 El salvador is located in the hearth of Central America, its the smallest country in the region, but we can said that is the area with more consistence surf, with the most concentration of rippble right pointbreaks in a small extention, this became it in one of the best surf destionation in the area, the perfect conditons of the road systems makes a spot where you can find with easy access and in a short time different pointbreaks, a few of them with World Class waves like Punta Roca, Sunzal, Las Flores and Punta Mango. Unique place, separated from the crowds with a very hard access from the main road, K59 is one of the best surf experience for experienced surf travelers, right hand solid pointbreak with rocky bottom, very consistence surf. To get to this spot is complicated without a 4wd car. a few small accommodations are available in this location, but not much space on it. this make this place always one of the less crowd good quality spots in the area with less people in the water, nobody most of the time. 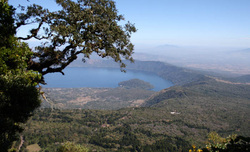 you can visit K59 El Salvador for more information and photography of this spot. 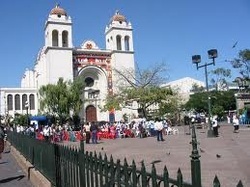 San Salvador is big city comparing with other central American countris, what is know as the metropolic region of the big San Salvador is formed by several municipies like Santa Tecla, Ilopango, Soyapango, antiguo Cuscatlan and the main San Salvador distrit. This make a urbe of couple millions of citizens making it a city that is awake during the day and also during the night. 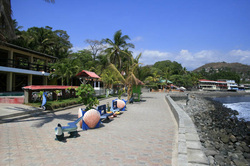 The international airport is located 40 minutes south from it, taxi driver is necessary, we also recomend to book hotel before your arrival, there are several region in the city where you can stay depending of your interest, areas like Paseo General Escalon, Zona Rosa and San Benito, Antiguo Cuscatlan and Santa Elena is where you find several malls and offices and are the best areas to look for accommodation, other popular area for travelers looking for night life and young culture Paseo El Carmen is a great option in Santa Tecla municipy.